Logo: Whether you're in need of a new logo or a redesign of your existing artwork DefinitivePromo can help! Our team knows that a successful logo is more than just a clever design, it's a completely new branding that your customers will need to recognize for years to come. Flyers: Brochures, flyers and leaflets are some of the most important promotional materials you will use, so it makes sense to have them designed by a company with passion, drive and experience. We can design flyers, brochures and leaflets that will stand out, whether they’re printed or electronic. Cover Art: Whether you simply need a single or album cover or an entire album suite including a digital booklet and more, we can help! 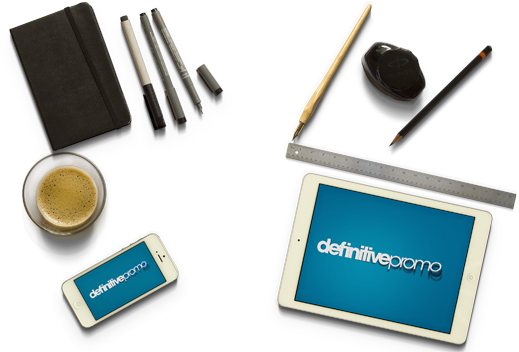 Let Definitive Promo help create you a memorable cover! Business Cards: One of the simplest ways to represent your company and its brand image is a well-designed business card. Most business cards look boring and get lost or thrown away. At Definitive Promo Agency we want to make sure that your business card stands out and that it leaves an impression with your clients, partners and suppliers.